From Brian Zembic getting breast implants for $100k to Ashton Griffin running 70 miles to bank $300k, there’s nothing better than seeing poker players make huge prop bets. And now, we have another great one to add to the prop betting hall of fame: Ville Wahlbeck winning a very large sum of money by shooting three-pointers. 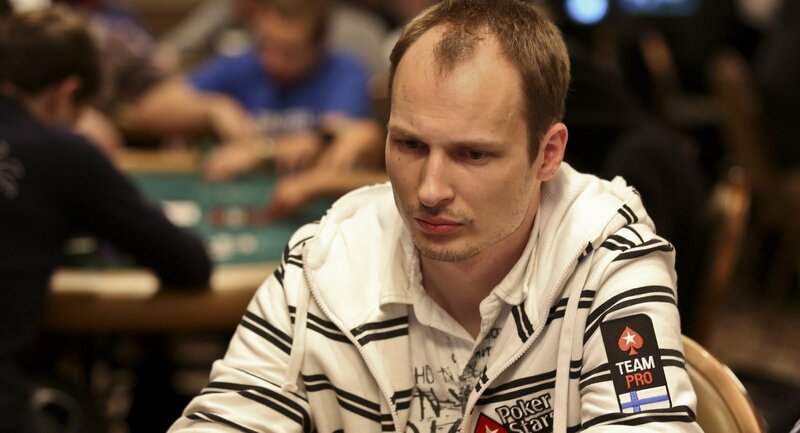 As the WSOP champion explained to PokerStrategy, he made a bet with two of his friends that revolved around 100 three’s. For every three that he made, the Finn collected $2,000; any time he missed a shot, he’d have to pay $1,000. So if he could make at least 34 three-pointers Wahlbeck would make a profit. Compounding the problem is that Wahlbeck hadn’t shot any three-pointers over the past few years. Because of this, he immediately began regretting his prop bet and thought about buying out of the wager. However, he ended up practicing a little bit and felt more confident about the bet. This confidence translated into Wahlbeck sinking 46 out of 100 three’s, which earned him a $38,000 profit. Fresh off booking a $38k payout from basketball, Wahlbeck has no plans to quit making prop bets any time soon. He vaguely discussed a new wager that involves fitness, eating healthier and dropping weight. Wahlbeck said that he’s getting 10-to-1 odds on this bet. As for his poker career, Wahlbeck has $1,674,034 in tournament winnings, which includes a victory in the 2009 WSOP $10k Eight-Game event. He’s final tabled four WSOP events total, all of which came in 2009.